This book is written by someone who battled nicotine addiction for some fifty years. It contains a comprehensive but concise discussion of most of the more effective techniques used for quitting smoking. You are probably not ready to quit smoking and if you are anything like the vast majority of smokers you are fearful of what lies ahead if you were to attempt to quit. Do not fear. You are not being asked to quit smoking. • Take one step at a time until you are ready to quit. When you are ready; the decision to quit will be an easy decision to make and the fear should be minimal. It is presented in a manner which allows the reader to select those bits and pieces of the different techniques that suit them. As you read the book you will be asked to start your own journal. This will enable you to develop a tailor-made quit programme just to suit you by selecting the best bits and pieces from the best techniques available. 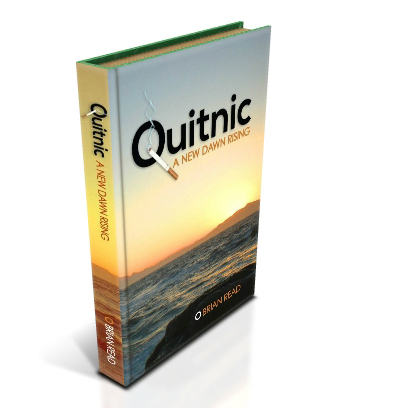 The book is presented in a motivational style which will take you through a process that will clear away your fears, to a point at which you will are keen to embark on the adventure of quitting. The aim is to equip you with the necessary knowledge, skills, tools, courage, motivation and mind-set to quit smoking and to remain free. One of the most important keys to success is replacing your old lifestyle with a new lifestyle. 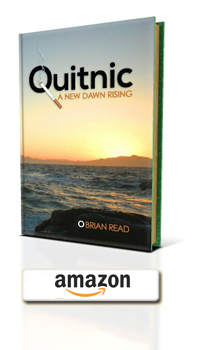 You will be shown how you can look forward to a “new dawn rising” as you cleanse yourself of the burden that nicotine has placed on you. Quitting is easy, provided you work hard at it. The good news is that it is just hard work – nothing to fear, nothing to get stressed about. You will learn how to work through a number of steps which will prepare and motivate you for the task ahead. Quitting is a process. By reading this book you are making a start on a wonderful journey. All you need to do now is to keep walking.